Made from 100% cashmere, this luxury knitted baby blanket is sure to keep the latest addition in your life cosy all year round. 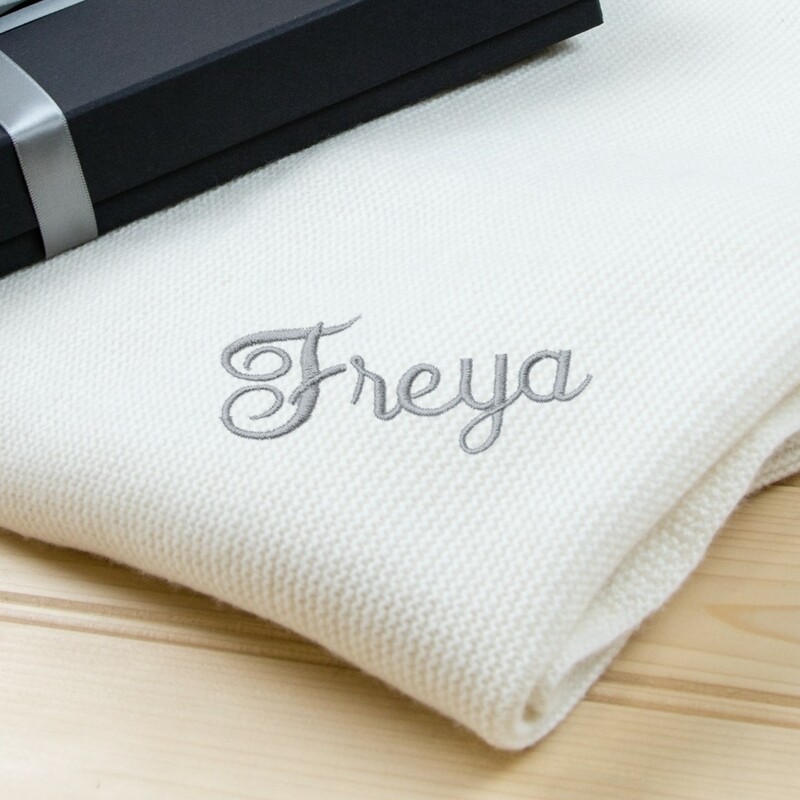 Perfect for a baby's delicate skin, our lovely soft cashmere has been specially sourced from across the world to ensure that we are offering the utmost in quality. 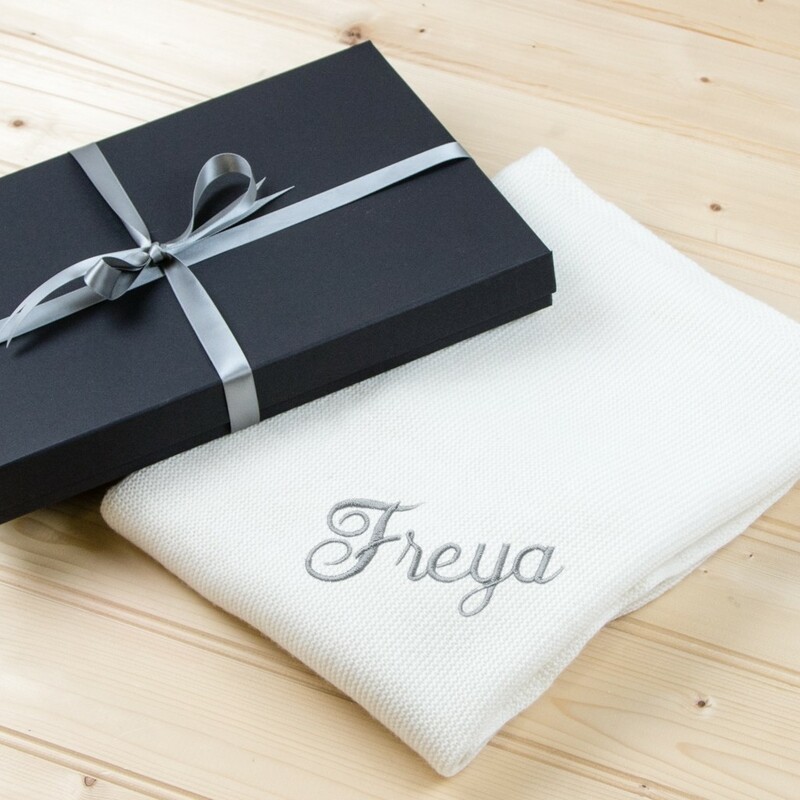 Wrapped and delivered to you in our unique and exquisite gift boxes, this baby blanket would make a memorable gift for any occasion. 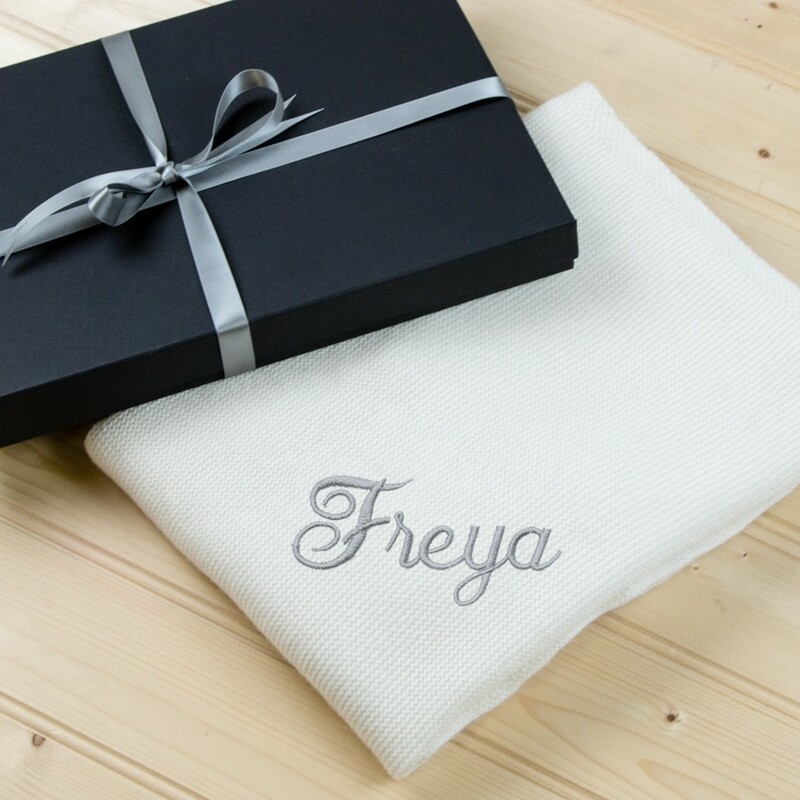 The cashmere baby blanket can be personalised to include the baby's name, initials or date of birth (12 characters maximum). White, Silver, Navy, Red, Bright Pink, Baby Blue, Gold, Black, Baby Pink. To ensure that your 100% cashmere blanket stays soft it is best to wash it by hand, using delicate detergent (or baby shampoo) and lukewarm water.